Karat® by Lollicup® USA, Inc. gives back! 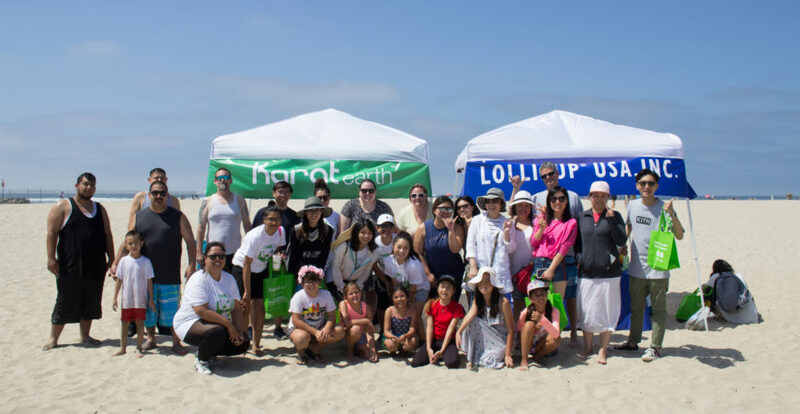 Karat® by Lollicup® USA, Inc. first ever beach clean-up was a success! Over 40 employees showed up with friends and family to help tackle ocean pollution. Lollicup employees show that they care about the environment by donating their time and effort to help clean Huntington State Beach. Many employees expressed that they were excited to help make a difference, especially those with younger children. This was also a great way for fellow Lollicup employees to bond with each other as people from all departments showed up .This was an effort that took many people to put together as we teamed up with Coast Keeper to help learn how to approach a beach clean-up. Karat® by Lollicup® USA, Inc. hopes to carry a tradition of doing more volunteer work as we believe in giving back to our communities for a better future.